Birdie and Bear: What Eli wore- ooh la la! 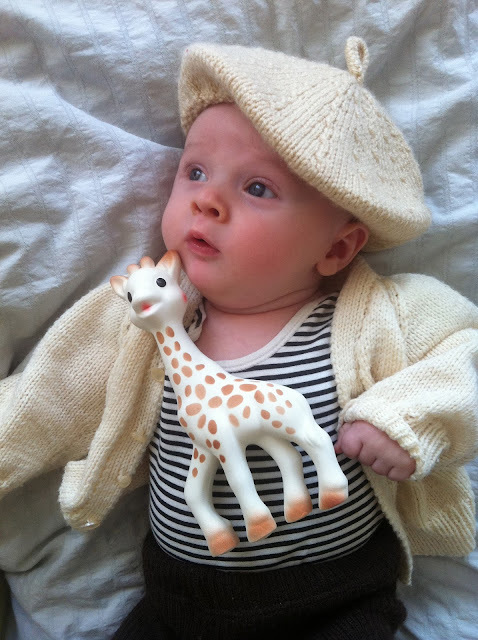 Sophie la girafe. 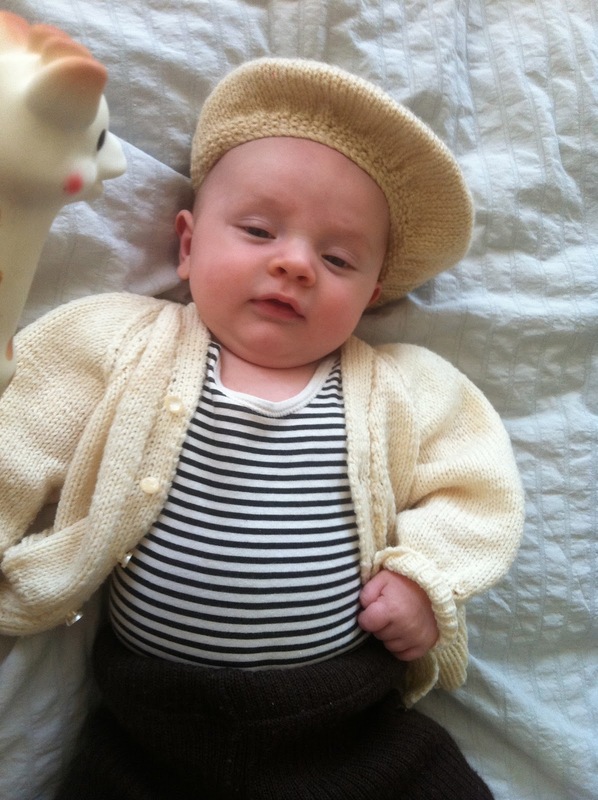 Look at my petit Eli in his french outfit! I love this hand knitted Beret by Kate's mum. It makes him look artistic! the rest of his out fit are hand me downs! and we were given a Sophie la girafe by Angie and Jim- Sophie is very tactile, and chewy, and it says on the box was born in 1961. It's made from natural rubber -which smells really nice, and has a squeaky thing inside, so a perfect chewing toy for babe (not dog!) Eli is a little young for his, but I think once he starts teething he'll love chewing on her. Hello Donna and little Eli, just wanted to say how great this blog is. Only came across it about 3 weeks back and found it very helpful. Already used 3 of the sites you recommend and received some fantastic products. Been a big fan of yours for around 6 years now and don't know how you find the time to fit in all you do and keep the 2 blogs you have. Glad you do though, please keep it up, Carl, expectant father, 4 days to go, can't wait.